Just a short reminder there are free things available if you have not signed up yet. Search back through the the last week worth of posts to find them. Like the others out there, I want to wish you and your family a happy and safe Christmas day. May your stockings be stuffed with hits. Can we give some thanks to Santa for another year of excellent deliveries? For myself, one of his elves put this beauty together. And to think you can make that with their wooden tools. Merry Christmas everyone. Those elves have Billy Pierce's signature down to a science. That's a great looking ball! Merry Christmas! 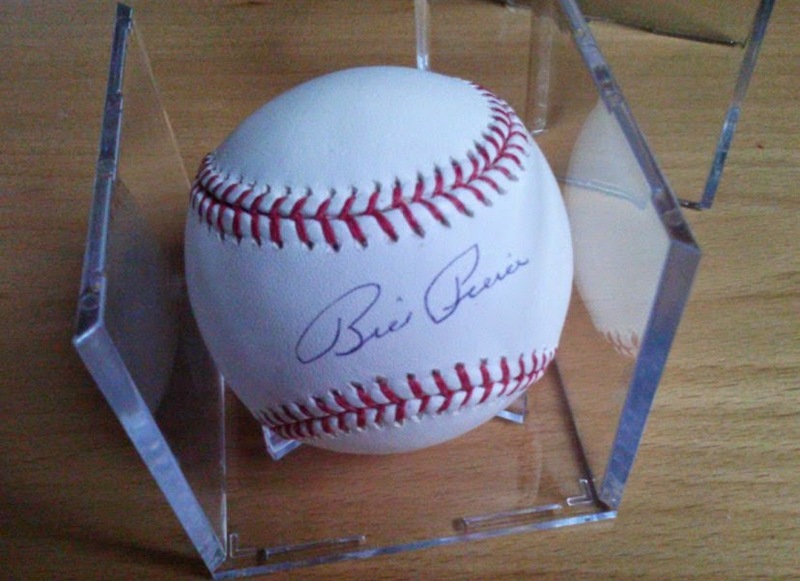 Pierce has one of the most consistent signatures I've ever seen among ballplayers.